During their six-month Citizen Service, the young volunteers involved with our programme will attend various training courses on citizenship-related topics. They are aimed at enabling them to build up their confidence and self-esteem, define their plans for the future, develop an entrepreuneurial spirit, get involved in a participative experience that will teach them about community life, get a better understanding of societal challenges, develop their critical thinking, get to know their civic and political rights and duties, meet, befriend and share views with people from different socio-cultural backgrounds, and much more. The pedagogical team of the Citizen Service Network relies on many pedagogical partners that play a major part in the implementation of this diversified training programme, such as Oxfam Solidarité, the Belgian Red Cross, the Gaume Nature Park, the Botanic Garden of Meise, Convivial ASBL, Quinoa, and many others. The Citizen Service Network works in close partnership with Bruxelles Formation and Actiris in the Brussels-Capital region. These organizations recognize the Citizen Service programme as a full-time training cycle. As a result, young people who take part in our programme are exempt from having to prove that they are actively seeking employment during this period. The public interest foundation Donorinfo provides independent information on the activities and financial means of Belgian associations helping people in need. On their website donorinfo.be, any person who wishes to support or get involved with one of these organization can learn about the different possibilities, compare them and choose the one that best meets their expectations. A recently added search criteria also enables them to find associations offering young people to take part in citizen service missions in collaboration with the Citizen Service Network. 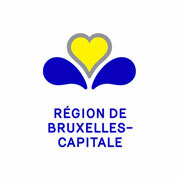 The Citizen Service programme is supported by M. Didier Gosuin, Minister of the Government of the Brussels-Capital Region in charge of Economy, Employment, Training, Health, Budget and Public Service, by the European Union's European Social Fund Agency, the Cocof and the Walloon government. Without their precious support, we wouldn't be able to offer young people aged 18 to 25 an operational Citizen Service. The Citizen Service Network is also committed to the inclusion of young people with disabilities. That's the aim of the project "From citizens on the sidelines to citizens on the front line" (DCM²).This initiative is carried out with the financial support of CAP48.